"Turning Machinery Into Money Since 1989." Ritchason Auctioneers, Inc. Is committed to the marketing of heavy construction and related equipment. 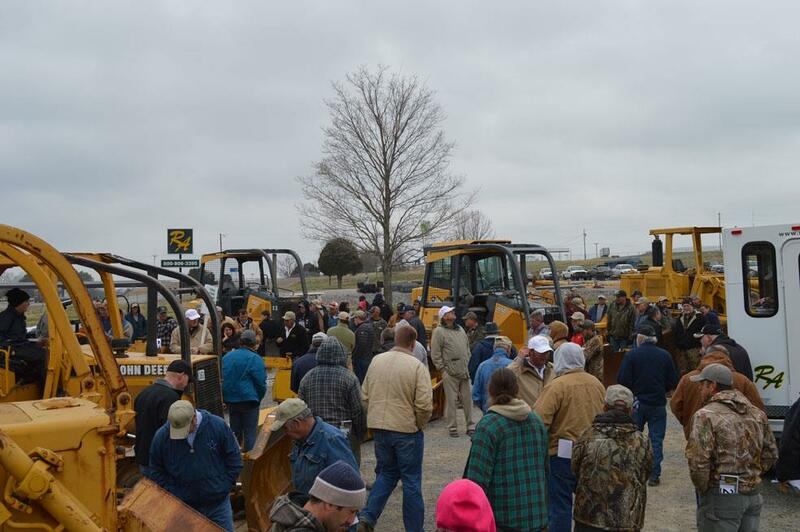 Consignment Auctions have continued to be the preferred method of many successful contractors, equipment dealers and other construction-related businesses to achieve their monetary goals. Ritchason Auctioneers offers our clients the most flexibility and control when marketing their heavy equipment. Therefore, we have expanded our services to include off-site auctions. Ritchason Auctioneers is happy to offer overseas shipping container loading services to our worldwide buyers. Please contact our office for more information. We are success-oriented: moving over 25 million dollars annually and attracting over 600+ bidders per auction, both nationally and internationally. Let us personalize a plan for your sale needs when you consign your heavy construction machinery, trucks or trailers to one of our auctions. "Built on uncompromising commitment and integrity, Ritchason Auctioneers exists to provide innovative business solutions in the construction market." Esta es la página de la compañía Ritchason Auctioneers localizada en Estados Unidos, Tennessee, Lebanon. La empresa presta servicios de: maquinaria usada, tasación y subasta. Ritchason Auctioneers representa a las marcas: Caterpillar, Komatsu, Volvo, John Deere, Vermeer. La compañía se especializa en Auctioneers, Consignments, Skid Steers, Cranes, Directional Drills, Dump Trucks, Online bidding.